Use MotoCut products to improve safety, productivity and quality of pile cutting. Our latest innovation is a plasma cutter, initially for cutting tubular steel piles and pipes. First in the world we have produced a fully self-contained mobile plasma cutter excavator attachment, which brings significant benefits for your company. The MotoCut pile cutter cuts concrete piles and now also steel piles and pipes quickly, safely, easily and without compromising on quality. Our newest innovation is MotoCut plasma cutter, which is a fully automated and computer controlled cutter for steel piles and pipes. MotoCut concrete pile cutter is the new generation tool, that can be installed to an excavator. It operates with diamond blades. The MotoCut concrete pile cutter has won the Quality Innovation Award. The competition was arranged by the Finnish Quality Association – Laatukeskus Excellence Finland. 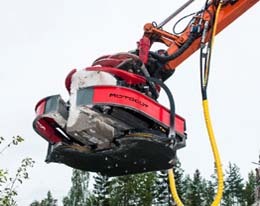 The MotoCut concrete pile cutter is a Finnish innovation, which was invented by Teppei Morimoto, a manual pile cutting professional, when he was looking for a solution how to mechanize that traditionally manual process. The pile cutter has an international patent. 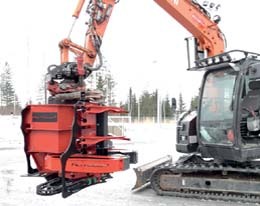 The pile cutter is a Finnish innovation based on the manual cutting experience of hundreds of thousands of piles. 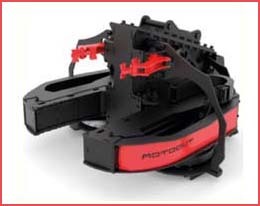 MotoCut’s newest innovation is the plasma cutter for easily cutting tubular steel piles and pipes.